Visit this outdoor park and see the air power that played a vital part in America’s early space exploration and aircraft testing. 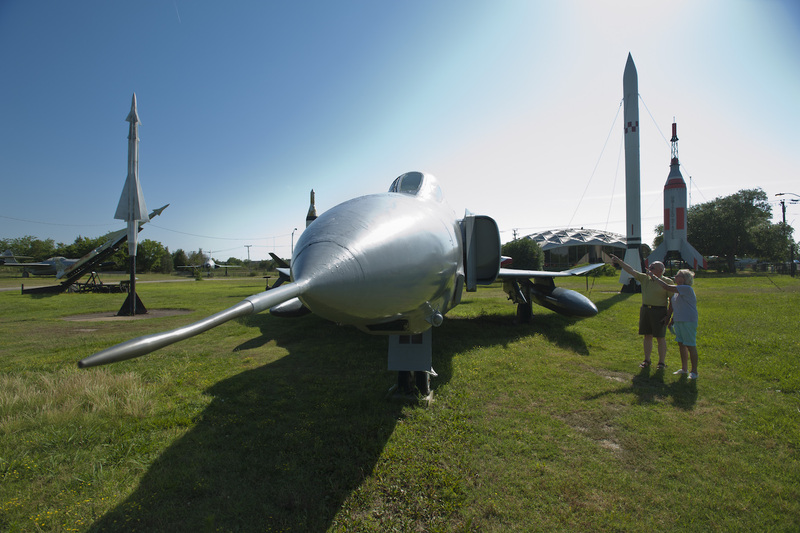 Conduct your own self-guided tour of the park displays featuring jets, missiles, and rockets. Kids may enjoy the playground area. Launch your paddle craft or simply relax on the floating dock, enjoying the view of wildlife on Newmarket Creek.Admission is free to this 15 acre park that includes a children’s playground. Many of the displays have connections with nearby Langley AFB and NASA Langley Research Center. A time capsule was filled and sealed there in 1965 and will be opened in 2065. Soar through aviation history! Recently, Air Power Park added a Children’s Room to the inside of the museum, as well as a conference room available to rent for meeting space or children’s birthday parties. The conference room rents for $30 per hour. The Children’s Room was designed with little space explorers and pilots in mind! There’s a special children’s reading area, cork board wall for the little artists to post pictures, special reading material, and 3D art wall (planets and astronaut). All donations given to Air Power Park are spent on programming for children. Open 9am-4:30pm year-round, seven days a week. Closed Thanksgiving, Christmas and New Year’s Day. I-64 exit 263B onto Mercury Boulevard. The park is located on the right, before you reach K-Mart.